The catchment area is the geographic area from which an agency or a sales outlets attracts its main customers, whether prospective or existing. 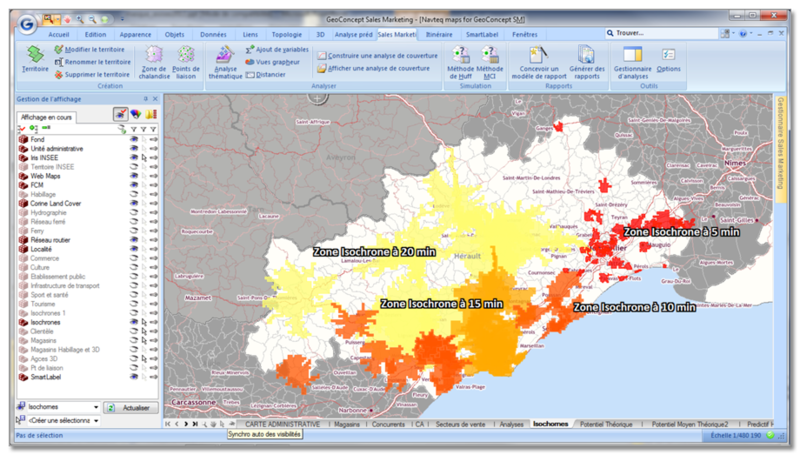 Catchment area analysis is an indispensable decision support tool for evaluation and optimizing the distribution of your network of sales outlets or services. Determining the catchment area of your sales outlet is very important : you can then analyze its sales potential, according to your customers and competitors. You can carry out this analysis before setting up your new sales outlet, in order to choose the best location, but also after to optimize your marketing methods (communication, means of signaling, offer adapted to your customers...). Comparing the potential of an area with its existing customers helps you analyze the possible improvements you would have to carry out in your local communication (poster campaigns, mails with and without addresses, advertisement in the press). 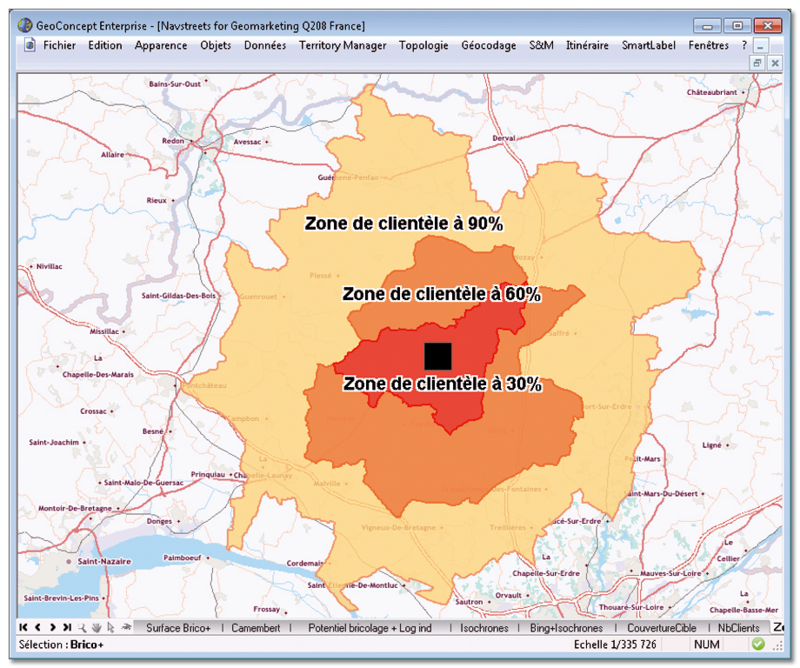 Moreover, creating and displaying isochrone areas enables you to identify the customer coverage of each of your sites and to display areas not covered or cannibalized areas.